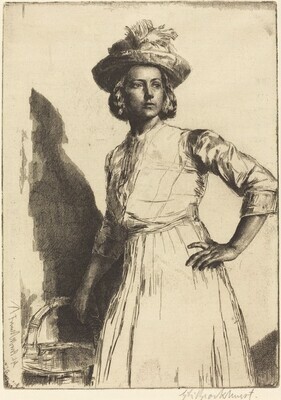 Wright, Harold J. L. "Catalogue of the Etchings of G. L. Brockhurst, A.R.A., R.E." Print Collector's Quarterly 22, no. 1 (January 1935): no. 49, iii/iv. Fletcher, William Dolan. Complex Simplicity: Gerald Lesley Brockhurst and His Graphic Work. New Haven, Connecticut: Sign of the Arrow, 1984, p. 50, no. 49, iii/iv.